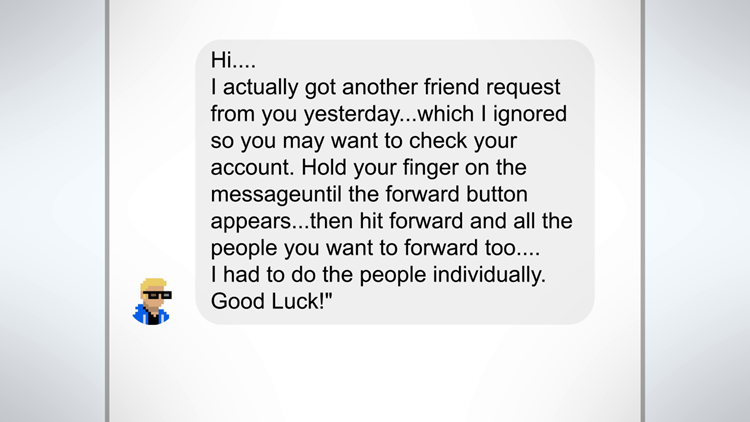 Here we go again, there's another Facebook message scam going around. Viewers have reported a very similar, newer version of this same post going around. 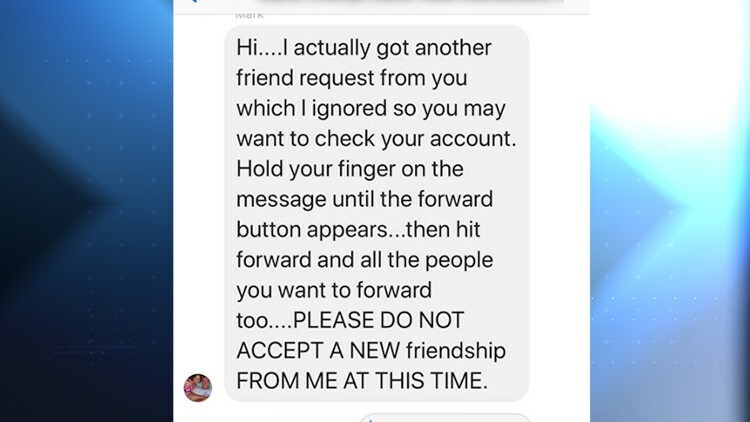 It has a different ending line of "PLEASE DO NOT ACCEPT A NEW friendship FROM ME AT THIS TIME." Facebook experts say both claims should be treated the same way. Is this message real? Has my account been duped or cloned and is someone sending invites to my friends, pretending to be me? 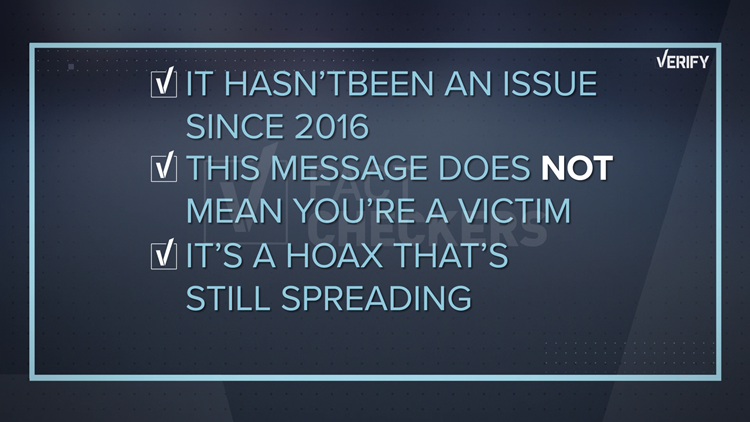 No, while there have been real reported cases of Facebook accounts being cloned, this message is not a real example of one. The only reason people are sharing it is because the post encourages them to do so, but that unfortunately has given a number of unaffected people reason to be worried about their accounts. Facebook is aware of this message. On a help center page, they told a user that "the notification you saw is likely a scam." When VERIFY reached out to Facebook, they acknowledged that "some people are seeing posts or messages about accounts being cloned on Facebook. It takes the form of a 'chain mail' type of notice." According to Facebook's community standards, claiming to be another person on their site violates their policies. The second part of the message encourages those reading it to share it with their friends. Please DON'T DO THAT! By sharing this message, you're unintentionally adding more people into the pool who are worried about their accounts with no reason. 1. Stop sharing this message. If you do actually receive an invite from someone already on your friends list, send them an individual message. 2. If you get this message and are still worried you can always search your own name on Facebook to verify that there aren't any clones of your account out there.